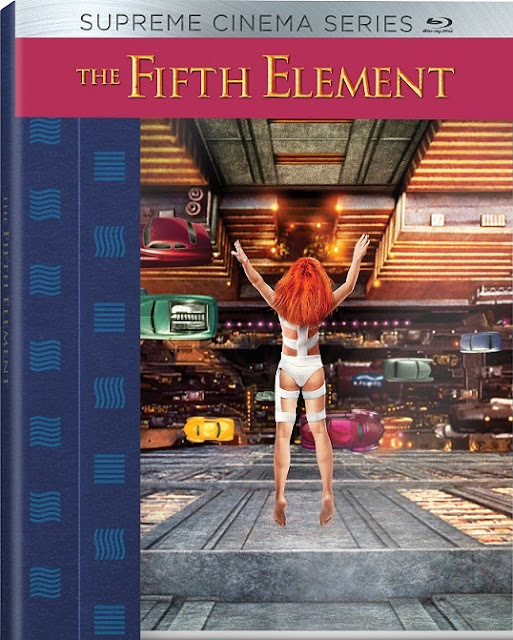 Sony Pictures Home Entertainment expands the Supreme Cinema Series line with the addition of the classic The Fifth Element from visionary director Luc Besson. The film features the first-of-its-kind, limited edition collector’s packaging with the acrylic “Clear Case.” This limited edition sku includes a 24-page booklet of rare photos and behind-the-scenes detail that will only be available while supplies last. The Supreme Cinema Series and standalone editions of The Fifth Element are presented with an all-new 4K restorations and exclusive Dolby Atmos Audio. The new Dolby Atmos audio, remixed specifically for the home theater environment, delivers captivating sound that places and moves audio anywhere in the room, including overhead. In the 23rd Century, a dangerous threat looms. Korben Dallas (Bruce Willis) is a former soldier who is now a taxi driver (in a flying taxi, which is the norm). Dallas is reluctantly brought into a fight to save his world and many others from annihilation. Leeloominai Lekatariba Lamina-Tchai Ekbat De Sabat, who thankfully goes by Leeloo (Milla Jovovich) is the supreme being who is vital to defeating evil. A mysterious force has been working with the evil businessman Jean Baptiste Emanuel Zorg (Gary Oldman) to destroy all life. 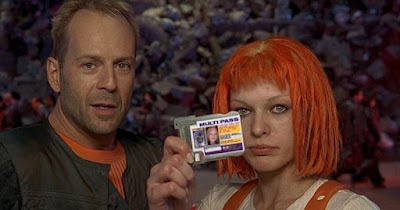 The Fifth Element is one of those things that you simply must see for yourself to judge and understand. The more I explain of the plot the dumber it sounds. This is probably a film that people either love or hate and I happen to love it. There is an effeminate radio talk show host Ruby Rhod (Chris Tucker) who screams and squeals in a way no man should be proud of. There is a host of other characters, human and alien all of which are vital to the plot but sound silly when you describe them. 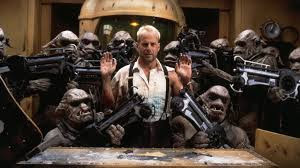 With many detailed alien races and costumes by Jean Paul Gaultier, The Fifth Element never fails to give the viewer a lot to take in. It is imaginative, creative and one of my all-time favorite movies. The Fifth Element, mastered in 4K looks very good on Blu-ray this time around. The skin tones are now accurate and lifelike. Colors are rich and vibrant. The alien Diva’s blue skin is the most notable evidence of the color seeming to pop off the screen. Leloo’s orange hair now shoes many hues of orange, red and yellow (it wouldn’t be fair to blondes to call that blonde) and reveals texture you did not see in other releases. 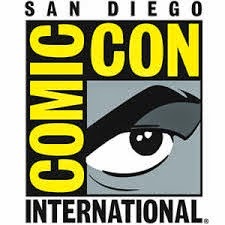 The Fifth Element is upgraded to a Dolby Atmos presentation. The music is clear and plays a large part in the experience of the film. The operatic Diva shines again in this respect. Gunfire and explosions are aggressive but not overwhelming. The traffic whizzing through the air when Corben meets Leeloo provides directionality and lends authenticity to the number of people in the city that extends almost infinitely upward. The Blu-ray contains a very lengthy list of special features most of which contains archival interviews and footage. These are clearly for the collector and there are more bonus features than you would watch in one sitting. Quality is less than optimal in the standard definition extras. The Visual Element (18:28) – This documentary-like featurette looks at the French comic book artists Jean Claude Mezieres and Jean Giraud that inspired and assisted with the film. The Visual Element Extras -Camera tests which can be selected individually or with a play all feature and run for a total of 6:25. The Star Element: Bruce Willis (4:18) – Willis talks about why he enjoys acting, what made him choose the project and the importance of having a Director that is a good storyteller. The Star Element: Milla Jovovich (12:48) – A look back at the 19 year old star of the film and the big task she undertook. The Star Element: Chris Tucker (4:20) – Tucker discusses Ruby Rhod’s unicorn hair, Gaultier wardrobe and other inspirations that helped him get into character. The Alien Element: Mondoshawans (8:15) – The big metal aliens are featured with talk about construction difficulty, and the need for 7 actors over 6’9” tall. The Alien Element: Mondoshawans Extras – Video only screen tests which can be selected individually or with a play all feature. Total run time of 3:28. The Alien Element: Mangalores (9:54) – A look at the evil aliens and their unique physiology. The Alien Element: Mangalores Extras – Screen tests with a run time of 2:14. The Alien Element: Picasso (4:16) – Zorg’s pet is examined including the mechanized skeleton, facial expressions and how Gary Oldman took a liking to his co-star. The Alien Element: Strikers (3:06) – An entire group of aliens that never made the final cut. The Alien Element: Strikers Extras – Camera tests for the alien creatures lasting 90 seconds. The Fashion Element (7:46) – A look at fashion in the 23rd century and all its elements. Jean Paul Gaultier talks about working with a boss and with a small budget. The Diva (16:15) – A featurette devoted to the blue, operatic alien. The Digital Element (9:50) – Digital effects including the miniature New York. Imagining: The Fifth Element (5:15) – More details on the visual effects heavy film. The Elements of Style (5:13) – Jean Paul Gaultier and his additions to the film. The Fifth Element is set in a futuristic sci-fi reality. Suspension of reality is important for the viewer to buy into the fact that Milla Jovovich’s Leloo is going to save the universe with a grumpy ex-military taxi driver to help her. If you’ve seen the film and didn’t love it, nothing about the latest version will sway you. If you do like The Fifth Element you’ll want to pick up the latest Blu-ray release with a long list of supplemental features and much improved audio and video quality.